My palm sweats in anticipation of nightfall. 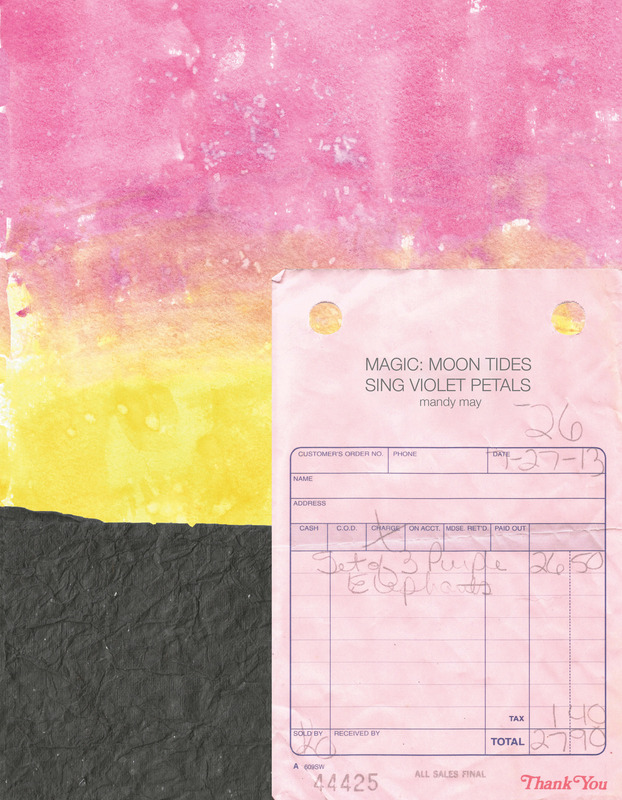 Magic: Moon Tides Sing Violet Petals is a collection of poetry that wades through self-actualization by way of ghosts, space, and magic. Cultivated over the course of three years, this MFA thesis features 32 poems punctuated by three watercolors of moon phases. The moon wanes throughout the course of the book, similar to the voice of the speaker. There is color. There is vellum. There is hand waxed thread. Purchase your copy of this limited edition collection online now. Experience some magic.